Let your inner mermaid out with this fish scales pattern cuff bracelet! 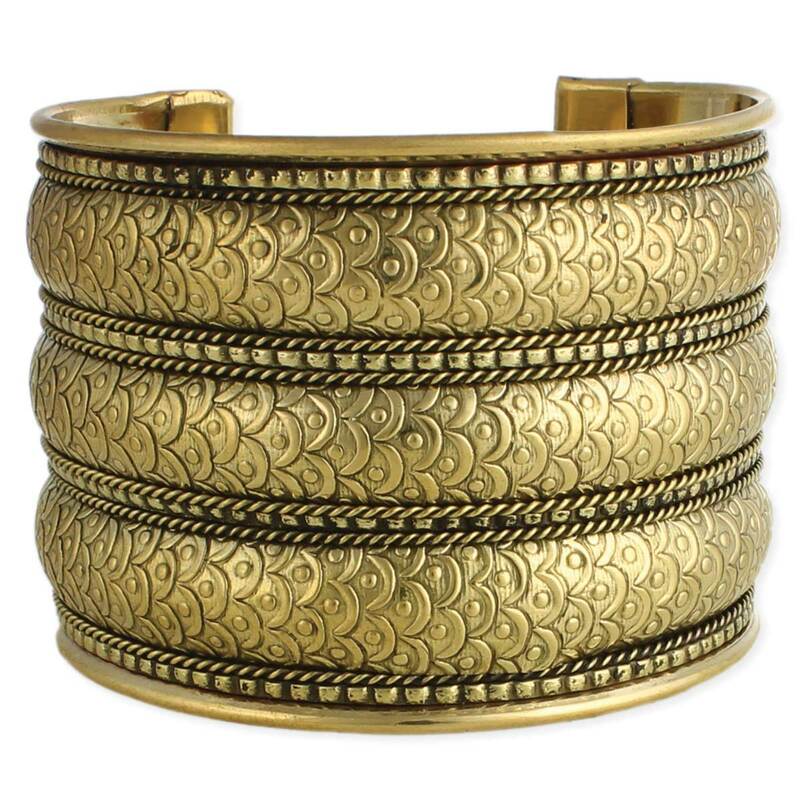 Wide antiqued gold bracelet features 3 rounded segments of embossed scales. Great statement bracelet with a subtle nod to our fishy friends.